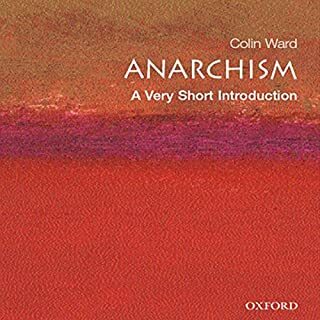 What do anarchists want? It seems easier to classify them by what they don't want, namely, the organizations of the State, and to identify them with rioting and protest rather than with any coherent ideology. But with demonstrations like those against the World Bank and the International Monetary Fund being blamed on anarchists, it is clear that an explanation of what they do stand for is long overdue. 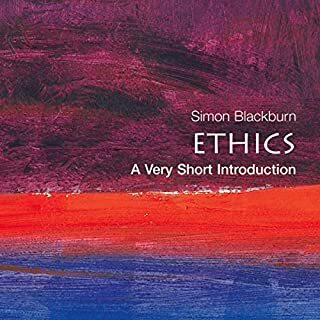 In this clear introduction to ethics, Simon Blackburn tackles the major moral questions surrounding birth, death, happiness, desire, and freedom, showing us how we should think about the meaning of life, and how we should mistrust the soundbite-sized absolutes that often dominate moral debates. No political concept is more used, and misused, than that of democracy. Nearly every regime today claims to be democratic, but not all "democracies" allow free politics, and free politics existed long before democratic franchises. 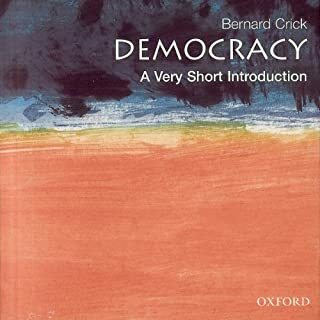 This book is a short account of the history of the doctrine and practice of democracy, from ancient Greece and Rome through the American, French, and Russian revolutions, and of the usages and practices associated with it in the modern world. The influence of Aristotle, the prince of philosophers, on the intellectual history of the West is second to none. 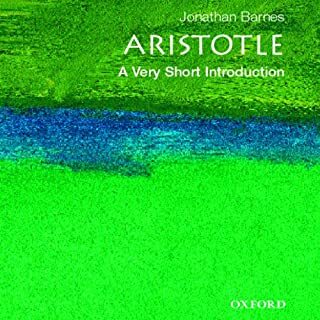 In this audiobook, Jonathan Barnes examines Aristotle's scientific researches, his discoveries in logic and his metaphysical theories, his work in psychology and in ethics and politics, and his ideas about art and poetry, placing his teachings in their historical context. Today, most people think of socialism as an outdated ideology. 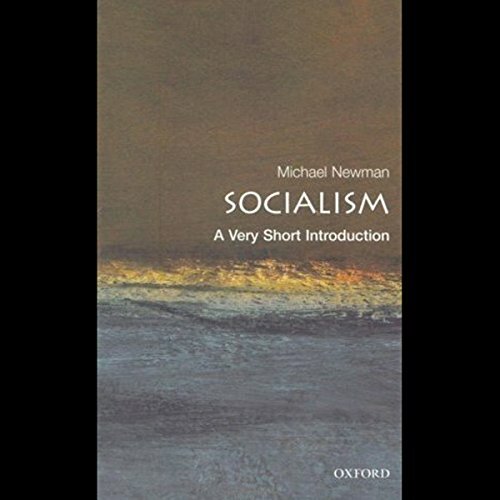 In this Very Short Introduction, Michael Newman seeks to place the idea of socialism in a modern context for today's listeners. 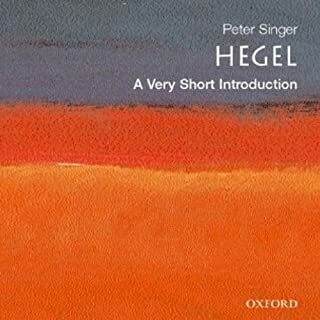 He explains socialist ideas in the framework of its historical evolution, from the French Revolution to the present day, and examines practical attempts to implement socialism. Not just another history of socialist ideas, this book aims for a different approach that looks at practice as well as theory - centering on the contrast between Communism and Social Democracy. The relationship between socialism and notions of democracy, freedom, and equality is also discussed. Newman brings the subject entirely up to date by tackling contemporary forms of socialism. While the book's focus is on Europe and the Soviet Union, it is set in a broader geographical context. Newman's fresh approach to the subject enables the listener to re-evaluate socialism. ©2005 Michael Newman (P)2010 Audible, Inc. The Author does a commendable job of condensing modern socialist theory for the general audience. The treatment of 3rd-wave feminism's impact was particularly noteworthy. The relationship between contemporary socialist philosophy and the environmental movement was less thorough. But overall, an excellent analysis. This book provides an excellent background of the history of socialism, a very good primer for anyone new to its study. It doesn't provide much in terms of the economics of socialism but that doesn't detract from the value of the book. The reading performance is clear and engaging. 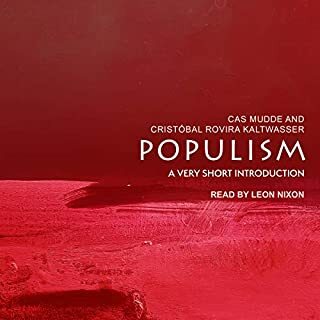 It's a relatively short listen and ultimately in favor of socialism, but much of the book is dedicated to critiquing socialist economies, both we'll running and failed. Interesting point is that while discussing most of the failed socialist and communist states, the author spends a fair amount of time relating the events and attitude leading up to the institution and failure of those governments. All in all, one of the better treatments of socialism I've seen. Very nice set of insights. I will most definitely read more books on the topic.